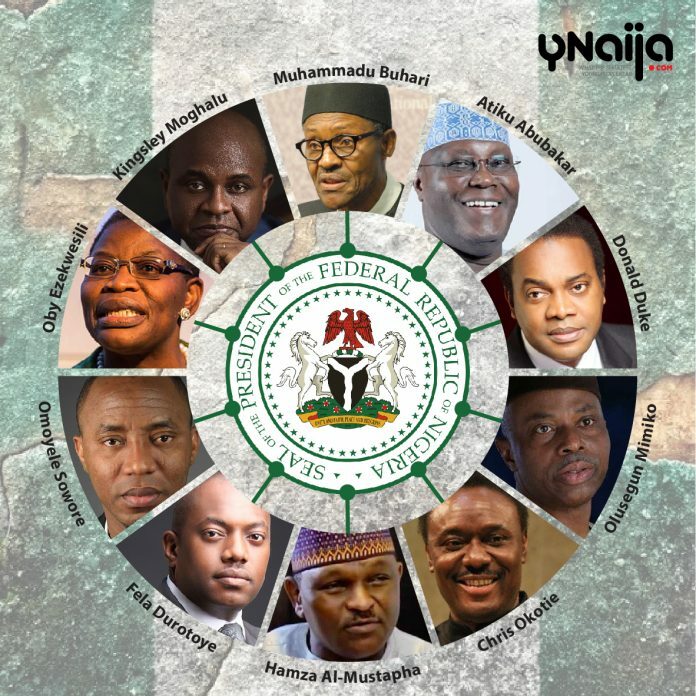 Ahead of the October 7 directive issued by the Independent National Electoral Commission (INEC) to political parties in the country interested in fielding candidates at the 2019 elections to conduct primaries and produce their flag bearers, a number of political parties (including the major parties) concluded the exercise few hours before the deadline. Of the country’s 91 parties, about 50 are likely to field Presidential candidates. However, pending the official release of the list of candidates from INEC, here’s a list of what we consider as the top 10 candidates (most popular) for the February 16 election. 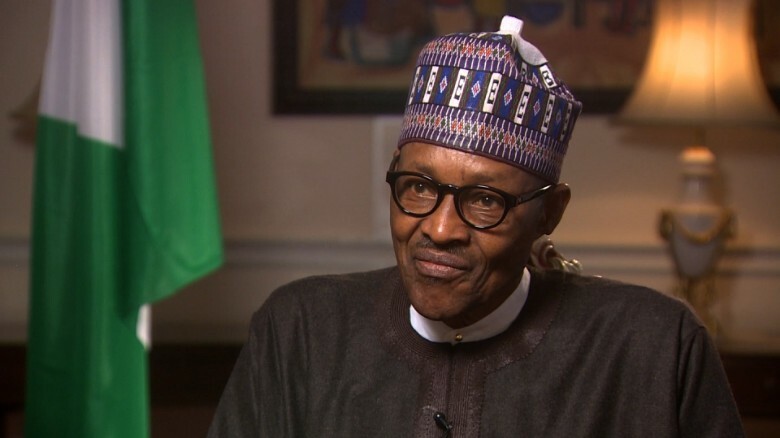 Muhammadu Buhari (75), the flag bearer of the All Progressives Congress (APC) for the 2019 Presidential election is Nigeria’s 15th Head of State since independence. 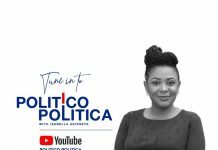 Buhari had since his entrance into partisan politics, run for the office of the President in 2003, 2007 and 2011 before he was elected to lead the country in 2015. The retired Army General served as the nation’s head of state from 31 December 1983 to 27 August 1985, after seizing power from the Shehu Shagari-led government in a military coup d’état, having served under General Murtala Mohammed, as Military Governor of the North-Eastern State from 1 August 1975 to 3 February 1976, and briefly as Military Governor of Borno state from 3 February 1976 to 15 March 1976. He also was appointed in March 1976, by then Head of State, General Olusegun Obasanjo, as the Minister for Petroleum and Natural Resources; Chairman of the Nigerian National Petroleum Corporation (NNPC) a position he held until 1978 and later Head of the Petroleum Trust Fund (PTF) in 1994 under late General Sani Abacha. He declared his intention to seek a second term in office on 9th April 2018 and was affirmed as the party’s candidate for the election, having been unanimously elected by over 14.8 million members of the party on Sunday. The 71-year old former Vice President (1999-2007) is the candidate of the People’s Democratic Party (PDP). 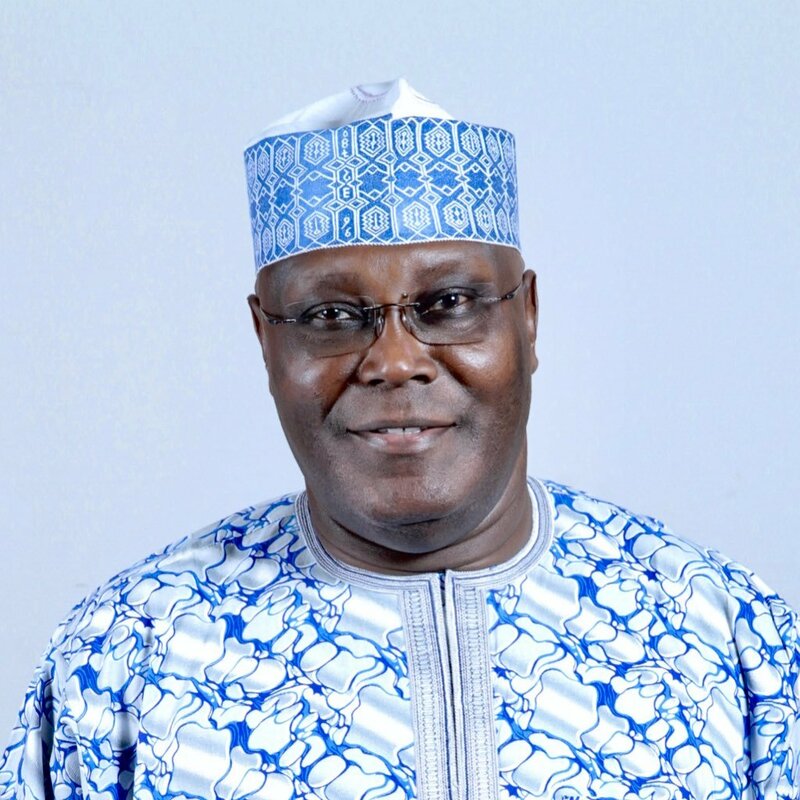 Atiku, contested the gubernatorial position in then Gongola State (Now Adamawa and Taraba States) in 1991; was elected Governor of Adamawa State on January 9, 1999 but was picked by the Presidential candidate of the People’s Democratic Party (PDP), Olusegun Obasanjo as his running mate for the February 27, 1999 presidential election. The Adamawa-born politician is running for the office of the President for the 5th time; having previously ran in the presidential primaries of the Social Democratic Party (SDP) in March 1993; the People’s Democratic Party (PDP) in 2011 and that of the All Progressives Congress (APC) in 2014. He also ran in the 2007 Presidential elections as the candidate of the Action Congress of Nigeria (ACN) where he came 3rd, behind General Muhammadu Buhari and Late President Umaru Musa Yar’adua of the PDP; the winner of the election. 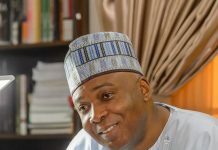 In his present bid, he beat 11 other candidates in the PDP primary including Governor Aminu Tambuwal of Sokoto and Senate President Bukola Saraki to clinch the party’s ticket. The lawyer and Professor in International Business and Public Policy is the candidate of the Young Progressive Party (YPP). 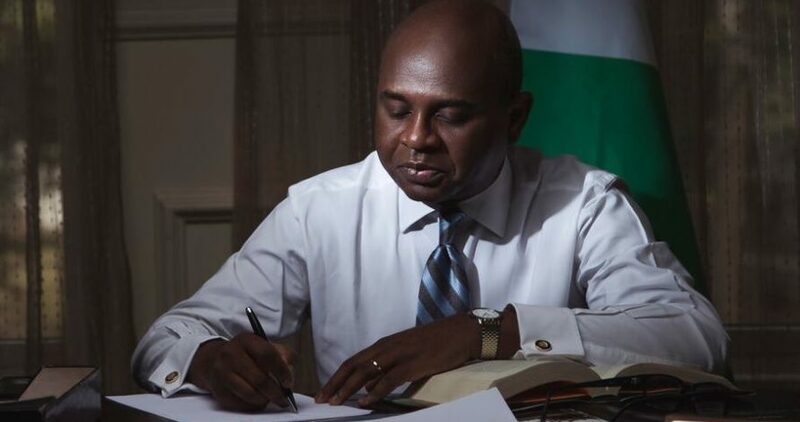 Moghalu (55), had worked as a United Nations official for 17 years, where he served as political affairs officer in the Department of Peacekeeping Operations at the UN Headquarters in New York, Special counsel in-charge of policy development, strategic planning and external relations for the organisation’s International Criminal Tribunal for Rwanda and several other capacities within the global organisation. In 2002, he was appointed to the World Health Organization in Geneva, Switzerland as Head of Global Partnerships and Resource Mobilization at The Global Fund to Fight AIDS, Tuberculosis and Malaria (GFATM) and on his resignation from the U.N, he was appointed Deputy Governor of the Central Bank of Nigeria (CBN) working together with then governor of the apex bank, Sanusi Lamido Sanusi up until 2014. He joined the 2019 presidential race in February and emerged as candidate of the party on September 8, 2018. The former Governor of Cross River state (1999-2007) is the candidate of the Social Democratic Party (SDP). In the latter days of his tenure as Chief executive of the oil-rich state, he announced that he would run for the presidency in the 2007 presidential election, but stepped aside in favour of the eventual winner, Umaru Yar’Adua. Since then, he has continuously being touted as gunning for the nation’s top political office, until he declared to run for the seat on 8th June 2018. 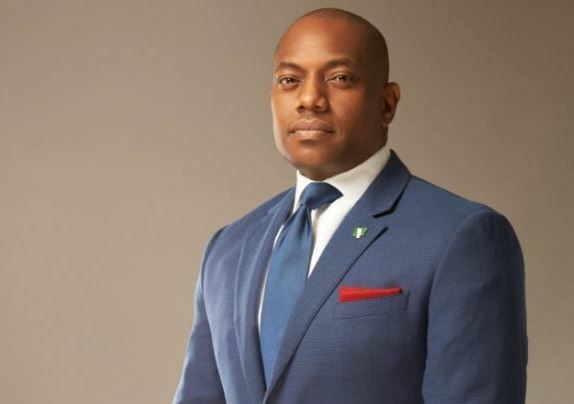 Duke (57), joined the SDP on September 4, 2018, having defected from the PDP and clinched the party’s ticket to emerge as its flag bearer on Sunday. The Co-covener of the Advocacy group, Bring Back Our Girls (BBOG) is the candidate of the Allied Congress Party of Nigeria (ACPN). 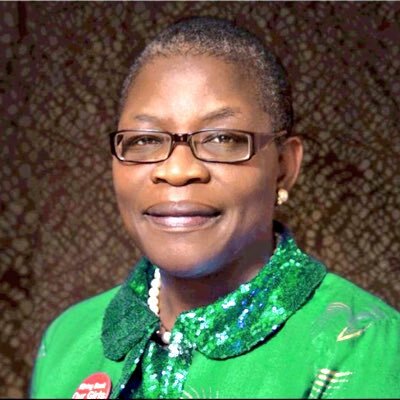 Oby as she is popularly called, started off her career in public office during the Olusegun Obasanjo administration as the Pioneer head of the Budget Monitoring and Price Intelligence Unit (aka Due Process Unit) and later as Nigeria’s Minister of Solid Minerals. The 55-year old rights campaigner was subsequently appointed Minister of Education during the second-term presidency of Olusegun Obasanjo, a position she left for the World Bank when she was appointed as its Vice-President for the Africa Region in May 2007. Madam Due Process, co-founder of Transparency International who served as one of its pioneer directors, was elected as the Presidential candidate of the ACPN at its national convention held on Sunday. The 47-year old leadership expert and motivational speaker is the candidate of the Alliance for New Nigeria (ANN). He had served as the head of the customer service department at Phillips Consulting Limited in 1998 and is currently the president of the GEMSTONE Nation Builders Foundation, non-governmental organization. 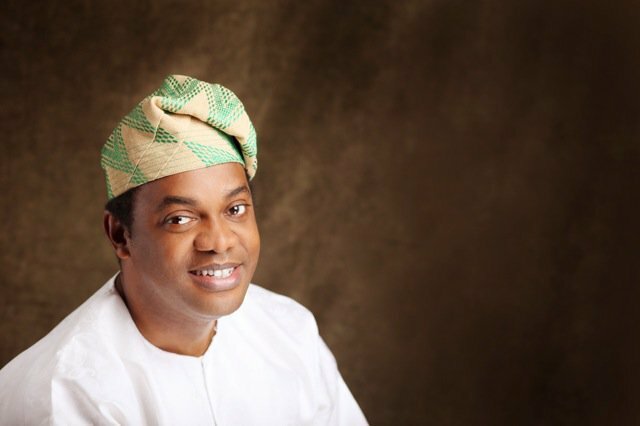 FD as he is popularly called, made public his intention to run for the Presidency on February 22, 2018 and was chosen by a coalition of 11 aspirants under the umbrella of the Presidential Aspirants Coming Together (PACT) as their consensus candidate for the 2019 general elections. On September 29, 2018, he won the primary election of his party, the ANN to become his flag bearer for the Presidential poll in February. The former governor of Ondo State is the candidate of the Zenith Labour Party. 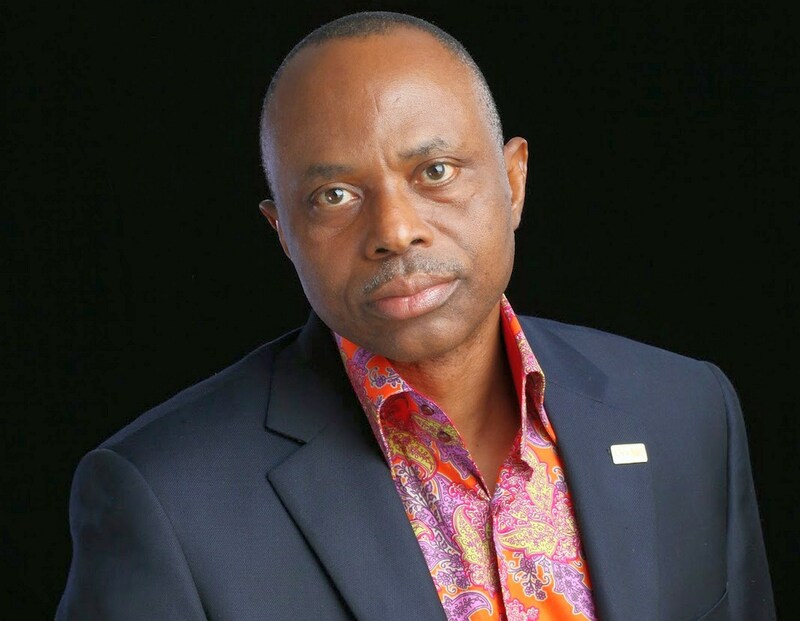 Mimiko (64), the first two-term governor of Ondo state (2009 – 2017) was previously appointed Federal Minister for Housing and Urban Development under the Olusegun Obasanjo administration in July 2005, leaving his position as the Secretary to the Ondo State Government (SSG), having been appointed to the office in 2003. The two-time Ondo State Commissioner for Health and immediate past chairman of the People’s Democratic Party Governors Forum (PDP-GF) declared for the presidency on September 13, 2018. He emerged as the flag bearer of the ZLP on Sunday. The human rights activist and and founder of online news agency, Sahara Reporters is the candidate of the African Action Congress (AAC). 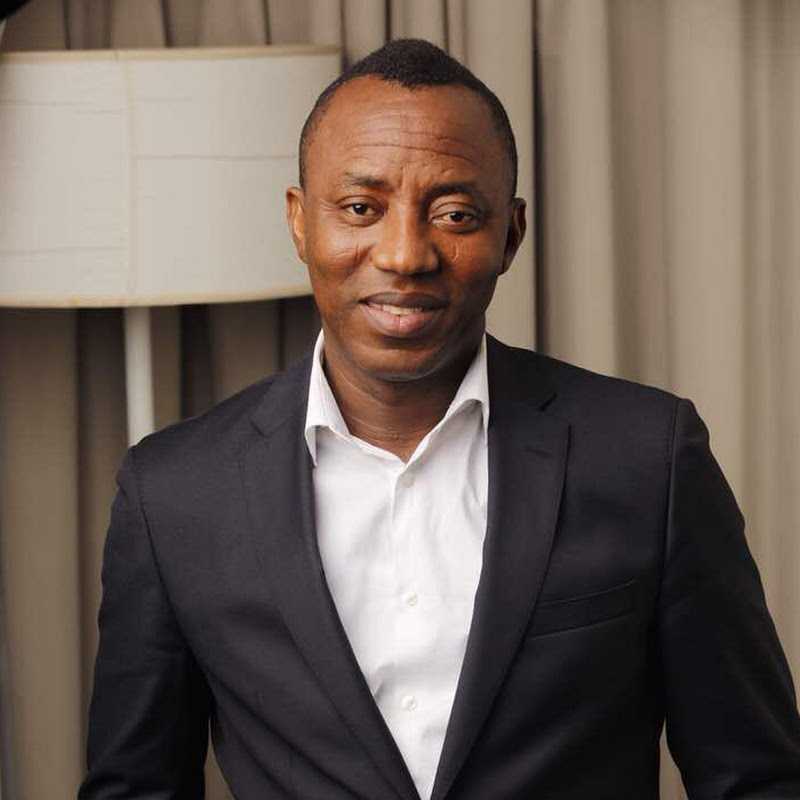 Sowore (47), who was the President of the University of Lagos (UNILAG) Student Union Government between 1992 and 1994, announced his intention to run for the office of president in the 2019 Presidential election on February 25, 2018. On October 6, 2018, he emerged unchallenged as the Presidential Candidate at the National Convention of the party which he founded in August. 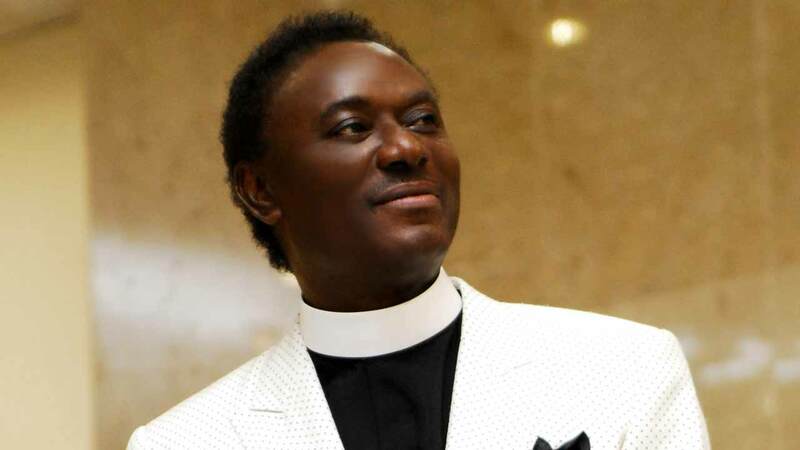 The 60-year old televangelist and Senior Pastor of the Household of God Church, Lagos is the candidate of the Fresh Democratic Party (FRESH). Okotie first ran for the office of the President under the platform of the Justice Party (JP) in the May 2003 elections, losing to then President Olusegun Obasanjo. He also ran in the 2007 and 2011 presidential elections on the platform of the Fresh Democratic party, a party he founded, but lost to late President Umaru Musa Yar’Adua and President Goodluck Jonathan respectively. The former intelligence officer during the days of the Nigerian military junta is the candidate of the People’s Party of Nigeria (PPN). 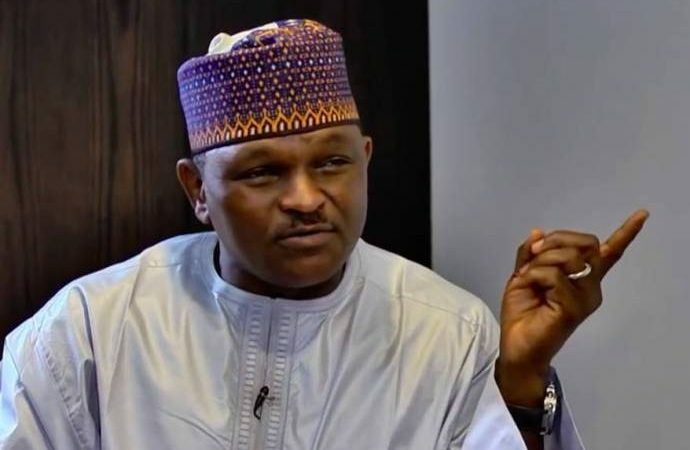 Al-Mustapha was the Chief Security Officer (CSO) of General Sani Abacha, military head of state of Nigeria from November 1993 to June 1998 and was removed from his job by the transitional regime established by General Abdulsalam Abubakar after Abacha’s sudden death in June 1998. He was subsequently arrested and tried for the murder of Alhaja Kudirat Abiola, wife of the acclaimed winner of the June 12, 1993 Presidential election, Chief Moshood Abiola and was sentenced to death by hanging, but was discharged and acquitted of the crime by the appeal court, Lagos division on Friday, July 12, 2013. 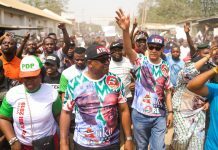 He emerged as the PPN flag bearer at the party’s National convention on Sunday, beating two other aspirants to secure the ticket.